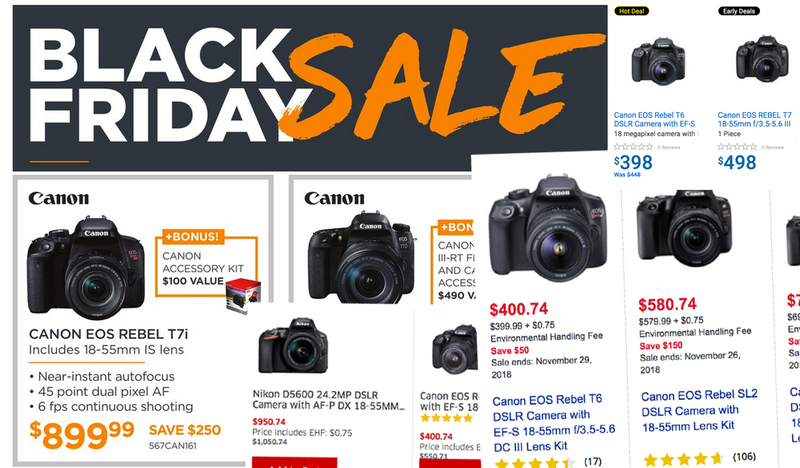 Lots of great deals out there for Black Friday/Cyber Monday…but which ones are the best? I’ve gone through the flyers/online deals and here are the ones I’d recommend! Note these are Canadian based vendors only, with current exchange rates most US deals probably won’t end up being great deals. So are you looking at getting into photography? Have a tight budget? I recommend the Canon T100. Cheapest SLR on the market right now. These cameras have more features/functions, and most come with more than one lens. These are cameras that have more advanced features, but would still be affordable for most consumers. Looking to make the jump to the next level of camera? I hope you find these tips useful! If so, it would be awesome if you would check out my LearnPhoto365 Photography Assignment Generator Apps on the app store and the Google Play store, a unique photography app that's meant to inspire you to take great photos! Henrys has a whole bunch of lenses on sale, both consumer and professional. Check out their flyer and see what’s available. Super deals on Pro level cards. These are best for shooting video and if you shoot RAW, photograph action! If you have any questions, don’t hesitate to email me! April 2015 Picture of the Month Winners!